You are big McDonald’s lover and really really love McDonald’s Big Mac. 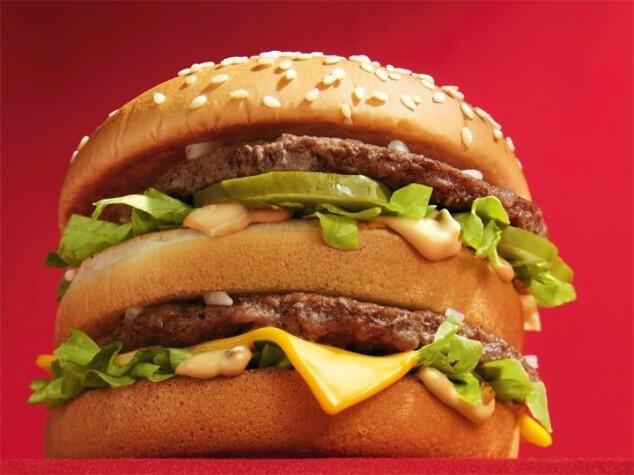 Well, we have for the method how to make a Big Mac at home. Look below the steps and enjoy your lunch!! Step 1: Make the sauce – mix all of the sauce ingredients together and blend that until smooth. Them put it in a refrigerator and lets stay there about an hour before use to allow flavors to blend. Step 2: Prepare buns – take the bottom and top part of the bun. They are not necessary for this recipe so you can trow it away or use them for something else. Step 4: Prepare the toppings – Mince a quarter of a small white onion and put it aside; chop a lettuce leaf into thin strips. Step 5: Cook the beef patties – Cook them according to your wish and preferences for a taste. Step 6: Toast the 3 buns – Toast the buns while the patties are frying. Toast them on the both sides, top and bottom and the sesame bun too (the inner sides). Step 7: Sauce the toasted buns – Put per 1 tablespoon of the sauce on the bottom of the regular bun and the bottom of the sesame bun. Step 8: Add lettuce, cheese, and pickles – Put a big pinch of the sliced lettuce onto each sauced bun: on the bottom bun (with sesame) put a slice of cheese on top of the lettuce; On the regular bun, put the pickle slices on the lettuce. Step 9: Put the burgers in to buns – Put each burger on a top of the condiments (cheese and pickles) and above burgers put a minced onion. Step 10: Stack it up – Pick up the regular bun (with everything) and stack it on the bottom layer. Step 11: Enjoy your home made Big Mac!